Get your little one to enjoy soups and liquids by making him interested, simply by giving him this printed spoon. 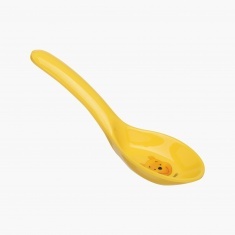 This soup spoon is aptly shaped to hold the liquid. To let your kid hold the spoon in his hand it is light in weight too.